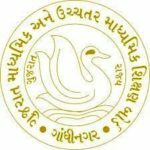 SEB Head Master Aptitude Test HMAT Call Letter 2017, HMAT Hall Ticket 2017: State Examination Board SEB activated link for download call letter for Head Master Aptitude Test HMAT 2017. Candidates whose application form confirmed they may download SEB Head Master Aptitude Test HMAT Call Letter 2017. Candidate may download call letter from official website ojas.gujarat.gov.in.